You can find different levels of tannins in wine, especially in red wines. But do you know what they are? It’s time for some wine knowledge! We have already analyzed other wine characteristics such as color and sulfites. Now I want to tell you something more about what wine tannins are and how they affect the wine. They can completely change a wine and the right balance of tannins in it is fundamental to its taste and quality. Tannins cause dryness or astringency in your mouth. Have you ever tried to eat a persimmon that’s not ripe? It makes your mouth totally dry! Some other foods with a high quantity of tannins are dark chocolate, tea leaves, walnuts and almonds, quinces, red beans, cloves and grapes. But we are wine lovers, so we are interested in the tannins that are in grapes. They are contained in the skins, seeds and stalks of the grapes. That’s the reason why red wines have more tannins than white wines, because the contact between the grape skins and the must is more extended. You can also find white wines with a medium level of tannins. They come from the wood of the barrel during the ageing process. Tannins from the stalk are very aggressive, hence it’s very important to separate the stalk from the berries before pressing. This last one should be soft. Otherwise the grape seeds might break and release more tannins. Some types of wine have more tannins than others. 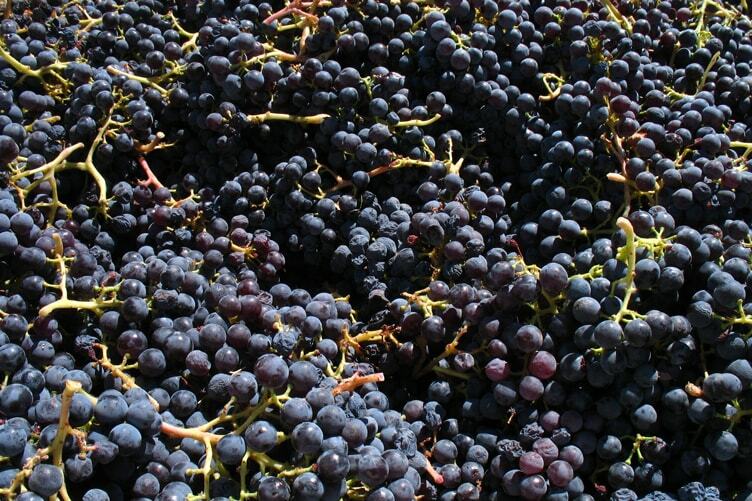 For example, grapes with more tannins are Cabernet Sauvignon, Nebbiolo, Sangiovese, Syrah and Aglianico. At the opposite end, grapes with fewer tannins are Dolcetto, Barbera, Pinot Noir, Merlot and Grenache. During the ageing, all the tannins are softening, and as a result the wine becomes more drinkable. Tannins influence three characteristics of the wine: aspect, taste and tactile sensation in the mouth. Their main function is to protect the wine from the oxidation, so the ageing is longer. Another important function of tannins is to create the structure of the wine, in other words body and balance. And last but not least, they are also important for the color stabilization. What is your opinion about tannins? Personally, I prefer a medium/high level of tannins in the wine. There are some wines with a higher level, but they’re so well-balanced that the tannins seem elegant. Which wines do you prefer? Those that contain a high or low level of tannins? Let me know by leaving a comment. If you liked this article, why not to click on +1!? It costs you nothing, but it’s very important for me!